Since I have just finished two challenges, of course I need to add more! Must. Feed. The. Addiction! 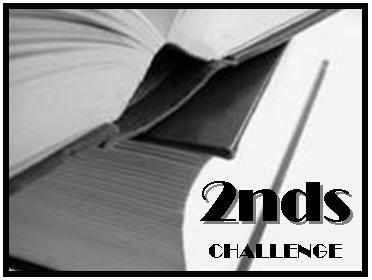 I am on schedule for most of my challenges, with the exception of my personal Reading Across Borders challenge. And of course, there are my over-arching goals of reading a book from every country in the world (more on that at a later date); reading all of the Booker winners--7 down, lots to go; and the Pulitzer Prize winners. In regards to the latter goal, I have just joined 3m's latest undertaking, The Pulitzer Project. What is my theme, you might ask? They are all books that feature, strong, quirky, fun female stars. Great lists for all these challenges! 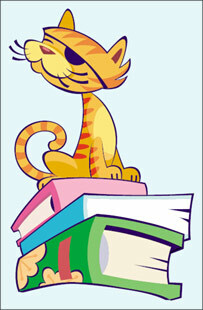 I am particularly glad that you have joined us in the Unread Authors Challenge. The last three on your primary list are book that I have read in the last couple of years and really loved, and the Laxness is one that I have been meaning to read for a long time. I look forward to hearing what you think of them! LOVE your choices for the themed read! Great theme too :) Glad you'll be joining me!! It looks like you have a great lineup of books! I want to read several of the same ones--especially the books into movies choices. By the way Chocolat is one of my favorite books. Earlier this year I reread it for about the third time! Oooh - great choices!! Can't let that "number of challenges currently in progress" number get too low, can we? pour of tor - I plan on reading the Laxness book in September, so you will be hearing my thoughts shortly! wendy - Thanks! I'm planning on a lot of light easy reads next year, which is one reason why I chose this theme. I don't know if I can handle very many intense novels come January, with a 2-month old! danielle - Chocolat has been on my TBR pile for a few years now. I really should get around to reading it! suziq - LOL. I must be crazy. I don't have high hopes for finishing some of these, but it's still fun to join in! 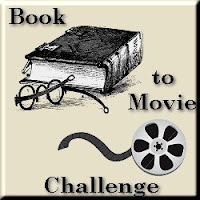 Thanks for participating in the Book to Movie Challenge! As a side note, your pick for the Unread Authors Challenge, The Giver, is one of my all time favourite books. I'm joining the Pulitzer project, too, as well as the unread authors challenge. The themed challenge looks really interesting, too. I have to restrain myself from joining every challenge that comes along! You have a lot of good choices here, and I hope you enjoy them all! I really want to see The Namesake. I enjoyed the book. I have read Balzac and the Little Chinese Seamstress--wonderful book. I didn't know there was a movie. Will have to look for that . . . Your list for the Unread Authors Challenge looks good too. I'm looking forward to reading The Road myself.